Split into two modes : a survival horror ‘campaign’ or action ‘raid’ mode this latest addition to the Resident Evil series of games is aiming to please everyone in seperate games (as opposed to the great big mixing pot that was Resident Evil 6). The first Rev 2 episode is out on Feb. 25 for PS3, PS4, PS Vita, PC, Xbox 360 and Xbox One. August has been a great month for horror fans with the release of the popular indie horror game Five Nights at Freddy’s, which is a power-management puzzle game where animatronic robots provide you with jump-scares upon failure, and the remakes of both Metro games in Metro: Redux, which while not entirely horror games, have their creep atmospheres and clench-inducing moments. On August 12th Sony and the fictitious company, 7780s studios, released a demo of sorts on the PlayStation Network that would soon go on to be revealed as a playable teaser for the next Silent Hill game, despite the “demo” being in first-person. Apart from the playable teaser being the first of its kind, and a fantastic marketing device, it also managed to be one of the best, and most terrifying, horror games I’ve ever played. In 2010 Amnesia: The Dark Descent, which is regarded as one of the best horror games ever made, was released and began somewhat of a surge of first-person horror games where the player would be defenseless, with nothing but a flashlight as their disposal to help them navigate the environment while avoiding being caught by the enemy, who would essentially be stalking you for the duration of the game. What made amnesia such a terrifying experience for me was the feeling of dread that accumulated in me as I continued to play the game, and would stick with me for some time afterward. While I have enjoyed other lantern-style horror games, none quite got to me in that same way that the first Amnesia did, not even its sequel, until P.T. While it is just a teaser, the entire experience feels quite complete. Despite the short playtime, there’s a lot of content here, a lot of which you don’t even need to access to complete the game. 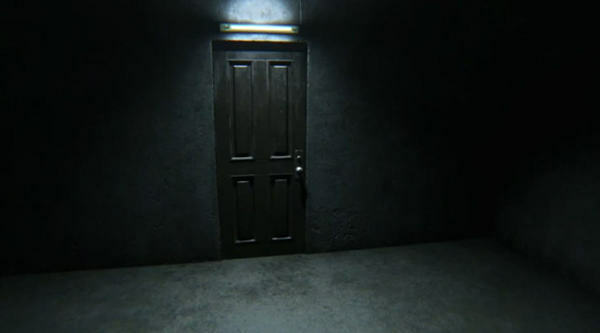 The entire game takes place within a couple of halls in a house, whose ends are connected by doors, one of which is a portal to the other, leaving you to navigate them perpetually to solve the games puzzles. Besides reaching the trailer at the end of the demo, there is no clear goal at any point. Even when you’re solving the games strange puzzles, you’re never really working towards any solution. All you know is that you’re changing something in some way, but you never really know what, or why. There’s something to be said about this kind of progression, I think it contributes greatly to what makes these types of games so scary. You’re essentially forced to aimlessly wander through an area where you’re constantly in fear of being “attacked”, all while being incapable any action besides walking and looking. This remains a fantastic formula even despite the lack of any failure conditions. The environment is very beautiful, and looks very realistic, and is also very relatable. The house, while messy and inhabited by variable amount of cockroaches, looks very much like a place most of us have been to, or are very familiar with. I’m sure most of us as kids have had experiences running through a similar environment to our rooms, having convinced ourselves that some kind of paranormal entity has decided to chase us once we turned off the lights. 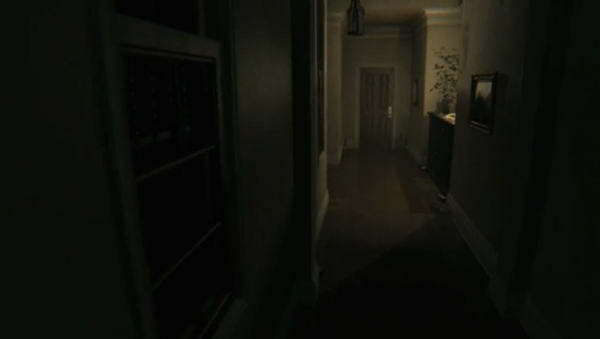 Turning around would be terrifying, as it often is in P.T., especially when the radio host abruptly stops reciting the news to begin saying “look behind you”. The sound design is fantastic. Another thing I feel Amnesia really nailed in the terror department was the sound, and few recent horror games have come close in this regard. P.T. has an abundance of different sounds that define its wonderful atmosphere, and can change your mood from calm to terrified without even requiring you to take a step. The intermittent music is very unsettling, especially when coupled with equally intermittent cries and murmurs. Much of the story is conveyed to you by a radio host, who as mentioned before, seems to address you personally at times. P.T. may be a short experience, requiring just over an hour to complete with a little help from the internet, but it is a very important game for the horror genre. Almost every aspect of the game is beautifully executed. Indie and major developers alike need not look much further than this to have an abundance of information on what makes a first-person horror game truly terrifying. It is a masterpiece of the genre.